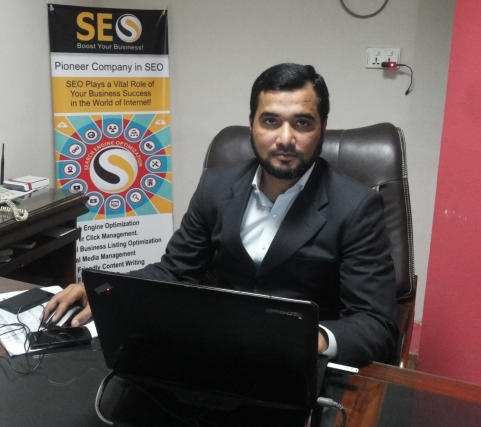 Muhammad Rizwan Zahid is an SEO pioneer in Pakistan. Starting out from Web Development back in 2003, he quickly learned the relationship between web development and SEO. Finding the Search Engine Optimization industry to be very interesting and professional, he started learning it while sharpening his Web Development skills at the same time. 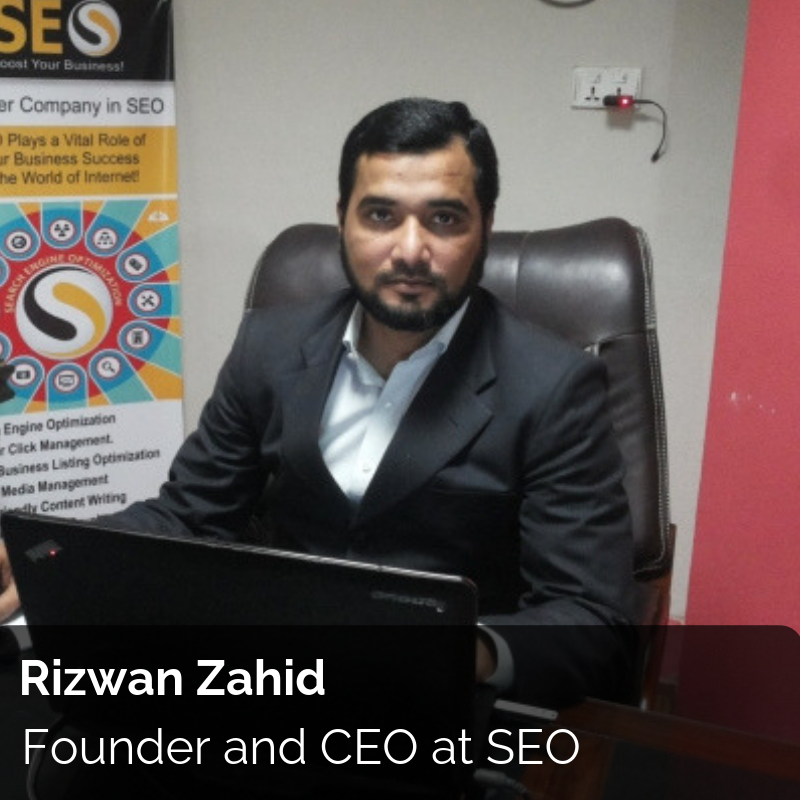 Rizwan Zahid is the CEO at www.seo.com.pk He has been providing SEO and all other digital marketing services to many of his worldwide clients from 2007, especially from USA, UK, Canada, Australia and UAE and, is now one of the most respected digital marketing experts not only in Pakistan and international arena. I am the Founder and CEO at www.seo.com.pk and also www.seo.ae. I am running my companies as the only CEO for 10 years and I have been involved in the SEO industry from 2004. My company is one of the pioneers of SEO in Pakistan and I provide digital marketing services for clients from all over the world Specially in Pakistan, USA, Canada, UK, Australia, UAE clients. Starting from core web development back in 2003, I switched to SEO in 2005 as there was a strong connection between web development and SEO at that time. Finding myself at the backend of all website development with my client websites, I found it easy to write crawler friendly codes that would have an immediate impact on SEO results. This control and drive-ability I experienced with development and SEO had me look into the field of Digital Marketing and Search Engine Optimization in detail. I would strongly agree with the fact that my coding and development background helped me become a better SEO service provider in the industry. In 2009 and few years before that, SEO was mainly dependent on on-page optimization. Today and during the last 10 years however, with the boom in digital and online side of business, the whole world apparently moved towards digital marketing. This had a huge impact on SEO and the way it was done. Although on-page SEO is still the backbone of a high ranking website, off-page SEO has gotten a high share of percentage as well. With all these new core updates by Google, SEO is taking a new shape every year. More emphasis is now being put on doing things right and black hat techniques are going stale faster than they came onboard. This is all good for an authentic SEO service provider like myself. Keeping in context with Google updates and tailoring SEO services according to them is the priority for modern SEO experts. 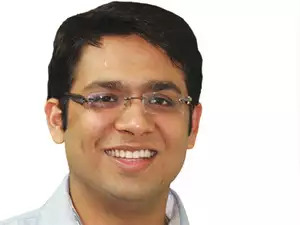 I started out my Information Technology career by Master’s in Computer Science Degrees that helped me learn a lot about web technology and digital marketing. Starting out as a web development professional, I quickly realized the connection high quality crawler friendly coding had with on-page SEO ranking. This helped me develop a great interest in Search Engine Optimization algorithms that is the core feature of Search Engine Optimization. I began finding myself looking for new SEO techniques during my web development carrier. My web development expertise helped me a lot for understanding the SEO strategies and search engine crawler psyche. After getting involved in the SEO field, I started job as SEO analyst and then provided SEO consultancy in many multinational organizations as a SEO consultant. Where my main responsibility to manage the SEO projects and SEO teams and then starting my own SEO Agency back in 2009. What strategy according to you will prevail in 2019 for SEO? As the competition is so high today in 2019, all factors of SEO including On-Page and Off-Page techniques need to be considered. As you know Mobile uses trend dramatically increased as compare to desktop uses. So, Mobile First seems to be the new mantra in 2019 and websites with a strong mobile presence will prevail in this year. Websites need to load faster efficient on mobile, be very presentable on the platform and also be as user-friendly as possible. Mobile searches have also surpassed desktop searches in 2018 and websites that look to succeed will need to optimize for Mobile platform as well. Other than that, Google will keep improving their core algorithms. There might not be something totally out of the blue for the SEO community in 2019 but many tweaks and improvements to the existing algorithms. What advice would you give to people who are looking to take up digital marketing as a career choice? I believe SEO should follow after young people have good understanding about coding and development. Only someone who can play with website core codes can be a true and professional SEO service provider. Knowing the relationship between codes in a website for its on-page SEO and its true impact on all other SEO efforts is a significant factor. If you can understand the coding structure then mean you can handle and drive the search crawler easily. When you will in a position to drive the Search Engine crawler then SEO would be great fun for you and you can easily drive and get the results by search crawler. Also, I would like to add that people looking to take up Digital Marketing as a career should broaden their application. Sticking to only one domain can make their services one-dimensional. Offering SEO, Google AdWords, Social Media Marketing and/PPC altogether should be the way forward.